It’s that time of year again. Every summer the stores get peaches from Pennsylvania. I buy a half dozen and put them in a paper bag to ripen. I bought some late last week. 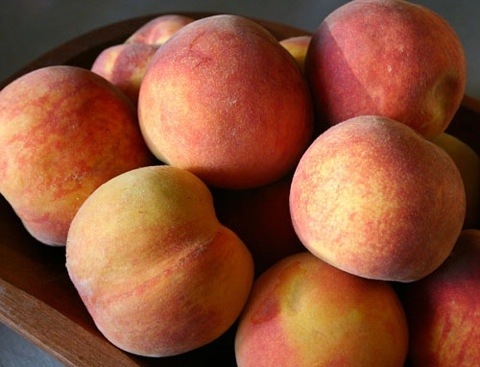 Tonite I opened the cabinet where they were stored and all I could smell was ripe peaches. I peeled and cut one. I had forgotten how good they taste. Juicy, sweet and what a wonderful taste! I love the fresh fruits and veggies that we have so nearby this time of the year. This morning I picked a cup of blackberries off our bushes in about 5 minutes. The bush is overloaded with them. I got the first yellow squash out of the garden and there a dozen or so already growing. What doesn’t come out of our garden, I can get fresh from the CSA down the road -tomatoes, squashes, kale, lettuce, cucumbers and more. Thank goodness for Summers. Enjoy the freshness while you can – wherever you are. ‹ What did you do in the 80s, daddy?